Dr. Ayang Utriza Yakin Postdoctoral Fellow “MOVE-IN Louvain”, with the support of the European Commission (Marie-Curie Actions), at the Université Catholique de Louvain, Belgium. 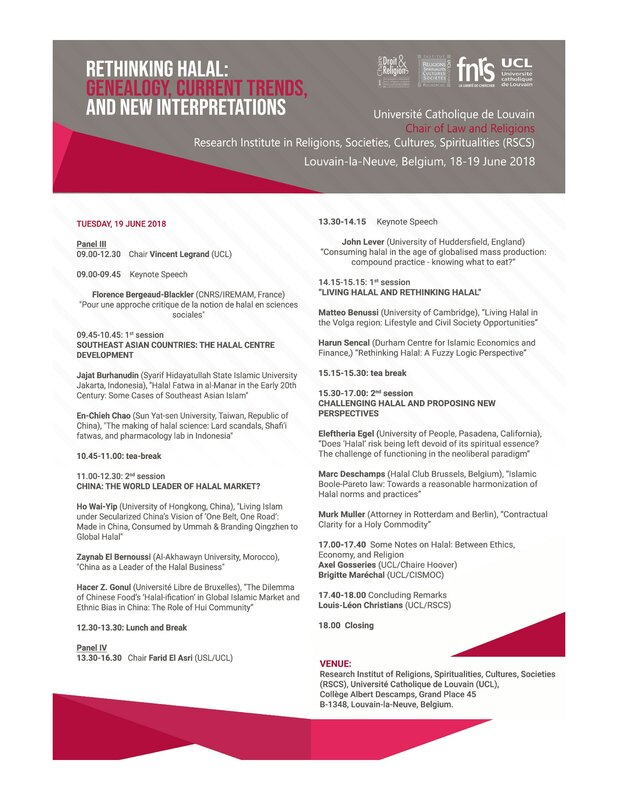 Prof. Dr. Louis-Léon Christians, Professor in Law and Religions and Chairman of the Research Institute Religions, Societies, Cultures, Spiritualities, at the Université Catholique de Louvain, Belgium. 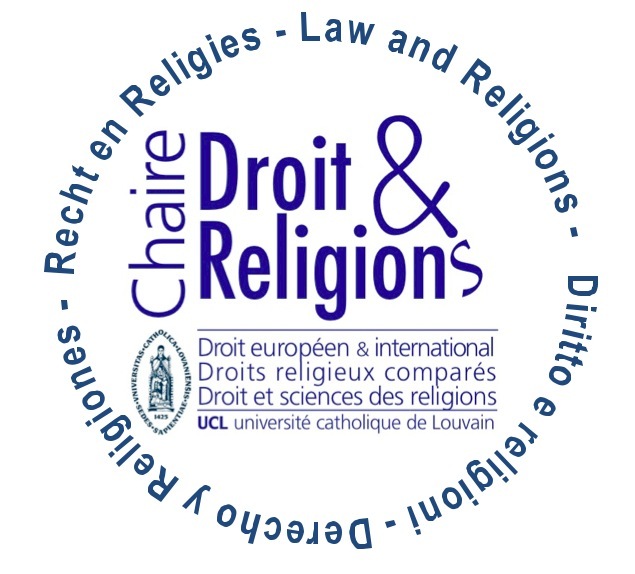 Prof. Dr. Baudouin Dupret, Research Director at the National Centre for Scientific Research (CNRS), France and Visiting Professor at the Faculty of Law of the Université Catholique de Louvain, Belgium. "Pour une approche critique de la notion de halai en sciences sociales". 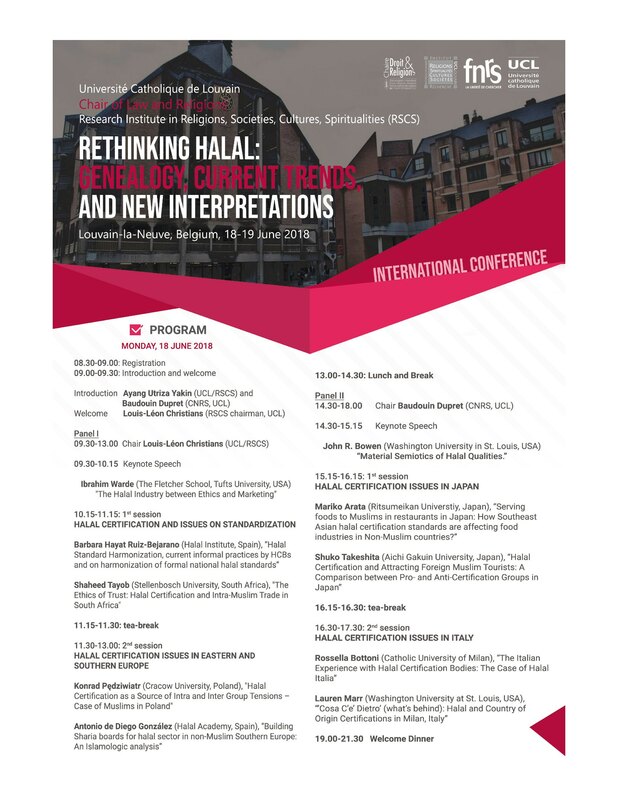 "The halal industry between ethics and marketing". "Politics, science and geography: why a sustainable and secure food future needs halal". "Material Semiotics of Halal Qualities." Some discounts are provided for early registration before May 1st.